The Founder-CEO of Headphone Zone, Mr. Raghav Somani speaks of realising his entrepreneurial dreams! 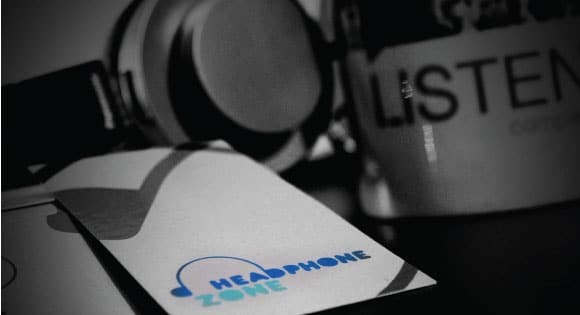 About the customer: Headphone Zone, conceptualised by Raghav Somani in 2010, is India’s first exclusive online store for headphones, earphones and personal audio devices. It features a collection of headphones from the world’s most finest brands renowned for their sound, design and style. With Headphone Zone, Raghav aims to deliver a personalised and immersive listening experience to the growing audiophile community. Here’s the story from Raghav himself. Q: The motivation and drive behind Headphone Zone? Your story, Raghav. Raghav: I graduated with a degree in Business Management from Singapore Management University in 2010, at a time when the global economy was on a freefall and jobs for fresh management graduates were hard to find. I was always keen on entrepreneurship and at the time, I was desperately motivated to start a business of my own. From my years in Singapore, I could clearly see there was a big contrast when compared to India, in the number of people around me from all walks of life using Headphones and earphones all the time. Be it while commuting in a train or waiting at a bus stop or just sitting in a café, it was practically a part of their everyday lives. Indians love their music very passionately too, and with the smartphone boom, every Indian had the means to listen to music in their pockets. The only missing link was the Headphone, and seeing everyone in Singapore inspired me. When we first started, I was distributing and wholesaling Headphones and Earphones to organized retail chains in India who were at the time mushrooming all over India’s malls and high streets. Everyone from Croma, Reliance Retail and Big Bazaar were convinced that Headphones were a category that had a large demand in India. But the problem was that they were terrible at selling good quality headphones to an average Indian consumer. Most had no idea how to even begin. Lack of information and passion for the product, coupled with the lack of priority for such a low ticket category meant that consumers had a lousy experience in-store and simply bought the cheapest earphone they found. That’s really where the opportunity for Headphone Zone emerged. So I would have to admit that the seed was really motivated from the business opportunity that I saw for myself. The business just made sense to me at every stage as opposed to overly complicated business models that I didn’t really see myself understand or believe in. Raghav: I don’t think we had a landmark moment with our first sale quite like other startups or new websites. We’ve always just seen ourselves evolve from Wholesale and Distribution to Retail and then to Online Retail. So my earliest memory of our first few online orders are that of how different their experience may have been as compared to an Offline sale from our store. We were extremely focussed on replicating our fantastic offline in-store experience as close as possible. So that was probably what was on my mind. Q: A typical day at Headphone Zone? Raghav: A typical day at Headphone Zone starts early at 9:30am, with a quick All-hands meeting with all the team members. I like to think of it like a Morning assembly where we quickly review our strategies and focus for the day. I spend the next hour or so reviewing my emails, social media and addressing any customers who may have emailed me directly. Meanwhile, the operations team is busy processing orders from the previous day while simultaneously co-ordinating with our warehouse in Chennai to ensure that all orders get shipped out on the same day. Lack of information and passion for the product, coupled with the lack of priority for such a low ticket category meant that consumers had a lousy experience in-store and simply bought the cheapest earphone they found. That’s really where the opportunity for Headphone Zone emerged. The rest of the day is usually divided with meetings with various teams where we review in detail various activities such as our online marketing, merchandising, customer service and content marketing. It’s usually a lot of juggling around to make sure that everyone is on agenda and on schedule. Every team member, including me, spend atleast a few hours everyday taking customer service calls and speaking to customers helping them choose their headphones. Great customer service is at the core of what we do, and we believe that it’s a responsibility shared by everyone across our business rather than just a dedicated customer service team. The lunch table in the afternoon, and the foosball table in the evening are usually the centre of activity that briefly brings the entire team together. Q: The highlight of your day? Raghav: The highlight of my day is usually when I speak to a few audiophiles or customers who’re looking for help choosing a new Headphone, Earphone or a Headphone Amplifier or Player. They usually know a lot more about these products and their sound and quality than we do. Learning from them about the nuances and intricacies of the audiophile world over extended conversations is the best part of my day. Q: What sets Headphone Zone apart? What are the USPs and differentiators in such a dynamic, competitive industry? Raghav: It depends on how you measure your peers. We’ve defined our niche as India’s best destination for Headphones, Earphones and Personal Audio Products. We’re focussed on delivering the Best Headphones from around the world, not necessarily the best selling. We don’t really see any competition from other niche stores, so we tend to compete with marketplaces like Amazon, Flipkart and Snapdeal. To differentiate with them, we focus on the products, curating and showcasing a collection of the world’s best headphones, second to none. Our USP is definitely our customer service. We encourage every customer to talk to us, or engage with us to help them choose a Headphone. Q: What are your best customer stories that motivates you and the team at Headphone Zone? Raghav: We have a lot of great customer stories. Some of our best customers are Audiophiles who’ve spent years researching and learning about Headphones and Audio in a way that we could never really comprehend until we interacted them. Their passion, perseverance and sometimes even their eccentricity is really what motivates us to come to work everyday. Many of them have spent years listening to their music with a single-minded focus on improving audio output, and have in the process trained their ears to identify the finest details in music. We like to call them hobbyist music listeners, to set them apart from the rest of us. Now, when we talk to our audiophile customers, we have to be very mindful of the fact that they may know more about our products than we do, and that would certainly be able to listen to our Headphones more critically and carefully than we can. It’s helpful to remind ourselves of this every time we interact with our customers, that no matter how much we think we know about our own products, we’re usually learning something new from our customers everyday. Our USP is definitely our customer service. We encourage every customer to talk to us, or engage with us to help them choose a Headphone. Listening to Headphones is a very sensory and personal experience. This also means that what sounds brilliant to one person’s ears, sounds disappointing to someone else. It’s a challenge for us to try and bring objectivity in being able to help a customer choose a Headphone that should hopefully meet their expectations, but it’s always a bit of gamble until a customer has actually heard the product himself. But our best case is usually when we hear back from a customer who was blown away by his new headphones. It usually elicits a very passionate response. Q: Are there any special employment guidelines followed at Headphone Zone? Are there any special cases being adhered to that help your growth? Raghav: Headphone Zone has always been a non traditional place to work at. We’re an extremely young team with an average age of 23, and we almost exclusively hire Freshers who usually are looking to do something different at an early stage in their career. We’ve been very lucky to have attracted great talent and to have been retain them long enough to build a family. My approach to hiring has been heavily influenced by my own failure to get a job after I graduated and the learnings I took away from the process. For one, we don’t really look for any academic degrees, qualifications, grades, or experience in a candidate looking to work with us – they usually offer us very little value to our team. Our primary considerations are a candidate’s motivation to work, their ability to learn and apply, and perhaps most importantly, their ability to ‘fit’ with the organizational culture. Interestingly, we advertise our openings almost exclusively through social media targeting people based on interests such as Music, TV shows and Movies. Finding the right candidate for us can have more to do with their choice in Music and movies, than their résumé and grades. Our social media campaigns also highlight several blog posts and content pieces talking about our work culture, interview process and stories from team members. A blog post I wrote about our unique interview process has become extremely popular and is perhaps a great example of our approach to do things differently. Q: Are there any initiatives for the Headphone community? Raghav: One of the biggest disappointments with the larger community of Headphone users is that most people are still using terrible quality MP3 files to listen to music on high-end headphones. It simply does the headphone no justice. The music industry, record labels, changing technology and online piracy is responsible for quality being compromised for convenience. We work very hard to try and encourage both audiophiles, and first time headphone listeners to use better quality files to experience the full capabilities of every headphone. Once someone experiences the difference a Lossless or High-Resolution file makes, there’s no going back to MP3. Popular music from the west is also easily available on the Internet to both illegal downloaders and those who pay for their music. I deleted my collection of 500 GB of music in an instant when I realized how much I was missing out on! Raghav: Buying a headphone is a sensory experience, and being able to listen to Headphones before buying them is extremely important. When we started, our retails stores served as listening centres and offered a fantastic in-store experience. We work very hard to try and encourage both audiophiles, and first time headphone listeners to use better quality files to experience the full capabilities of every headphone. Once someone experiences the difference a Lossless or High-Resolution file makes, there’s no going back to MP3. However, an online retail model allows us to cater to a much wider audience, offer better products at substantially lower prices, and offer a consistent customer experience to everyone. We had to address the challenge of offering customers the ability to listen to Headphones, especially high end headphones, and that’s where Headphone Connect was conceptualised as India’s first Headphone Community Meetup. Allowing both serious audiophiles, as well as first time headphone users the ability to listen to some of the best and widest selection of headphones under one roof was our way of replicating the experience of a listening centre. Moreover, it would allow everyone the ability to meet and talk to the Headphone Zone team, including me, and see us as people who are passionate about what we do, rather than just look at us as a website or a shop. This could be done in an unlimited number of towns and cities across India, and at a fraction of the cost. Headphone Connect is our way of bringing the audiophile community together under one roof, for one evening of all things headphones. It serves as a discovery channel for amateurs to experience good quality products in a casual and comfortable environment, while simultaneously interacting with seasoned audiophiles. Beers & pizza are just as indispensable as Headphones at Headphone Connect. Our focus to make listening experiences to everyone in the the future, would be to have many more events at a far more regular frequency across India. Q: What are the core objectives that make Headphone Zone truly special? 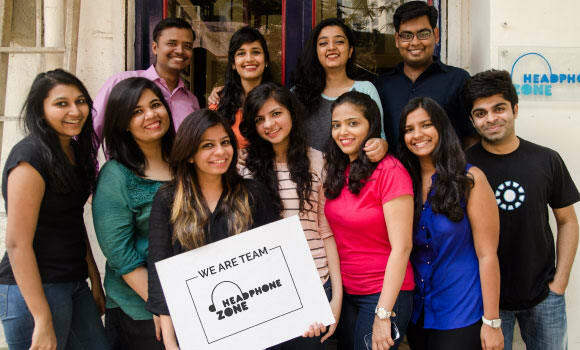 Raghav: At the core of it, Headphone Zone is unlike any other e-commerce company. The way I think about our journey, we don’t have to be India’s ‘biggest’ online store to be the ‘best’. Since we don’t care about being the biggest, we certainly are working hard every day to be the best at what we do. We started as a retail store, and pivoted eventually to becoming an Online Retailer. But, being at the store dealing with customers every day, taught us the importance of great customer service and being personal in our interaction with every customer. Treating every customer just the way we would like to be treated, is key to building a great, impersonal and trustworthy buying experience for something as personal as a Headphone. I am proudest of the fact that Headphone Zone has built a very passionate fan base who above all, love our direct and personal customer service. Be it in the way that we talk to customers helping them choose their perfect headphones, the accessibility of the entire team including me, surprise chocolate cakes delivered every time we want to apologise, or surprise gifts to our biggest fans whenever we launch a new product, have now become trademarks of Headphone Zone. At the core of it, Headphone Zone is unlike any other e-commerce company. The way I think about our journey, we don’t have to be India’s ‘biggest’ online store to be the ‘best’. Since we don’t care about being the biggest, we certainly are working hard every day to be the best at what we do. The key for me going forward, will be our ability to continue giving our customers the experience they’ve come to expect from us as we scale up. Q: What value does digital marketing with OnlineSales.ai team and platforms bring to the table to fuel a deeper, organic growth for Headphone Zone? Raghav: Sokrati’s learnings and experience from working a large roster of clients across different verticals offers Headphone Zone an invaluable access to knowledge that greatly shortens our learning curve. In a lot of ways, lessons that would take many months, and several mistakes to learn, have been made available to us through OnlineSales.ai’s journey with their clients. Our ability to scale up our business successfully and sustainably has been invaluable aided by OnlineSales.ai’s team and platforms. Team OnlineSales.ai stands by Headphone Zone in reaching the heights it aims at, and imparting diligent performance marketing to see it through. We are encouraged by watching our clients deriving true value out of our OnlineSales.ai for E-Commerce platform and efforts, and The Inside Story celebrates just that. You can request for a demo of our platform here!